Wulffman is a versatile tool capable of illustrating an infinite variety of crystal shapes. A few examples are given below that demonstrate some of the basic program features listed above. Transformation: The beginning structure is an octahedron generated by  facets. 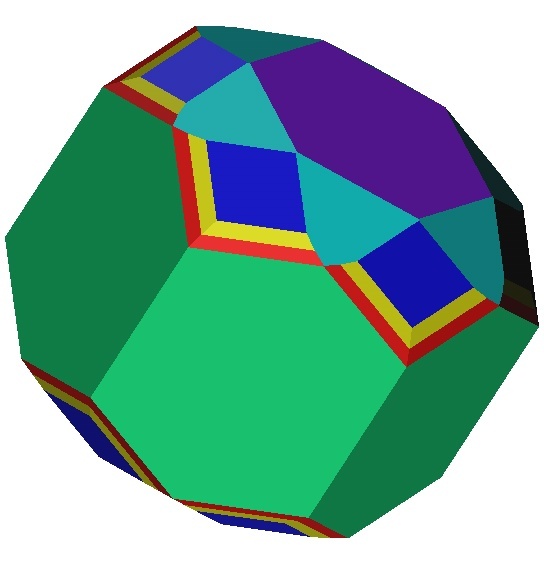 facets are added, and their surface energy is lowered until the truncated octahedron (cuboctahedron) results. 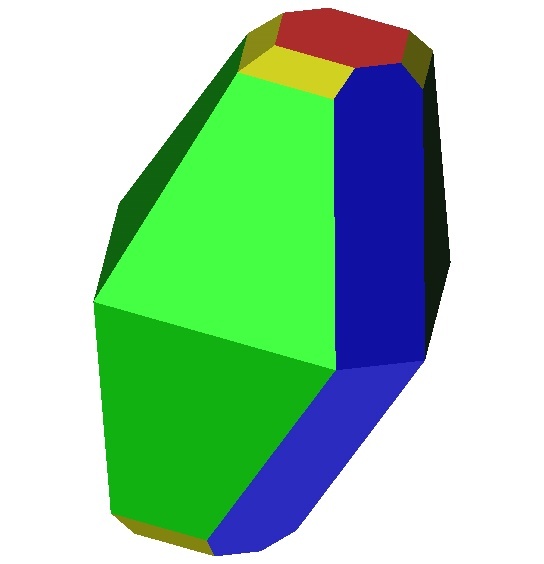 facets with low energy are included, and as their energy is decreased relative to  and , the dodecahedron results. Transformation: A general icosahedral form with 60  facets is generated. 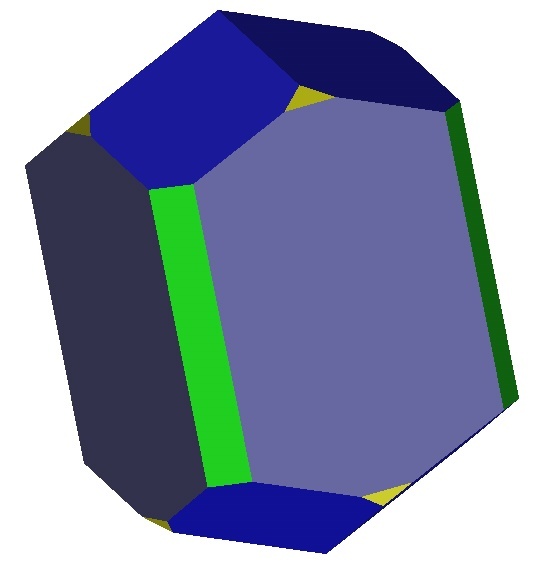 facets are included and their energy is decreased until the regular icosahedra results. Description: Decreasing the energy of the unique plane  progressively slices off more and more of the Wulff shape. If the  facet had not been unique, 24 equivalent planes would have been generated. Description: In the absence of a bounding polytope,  facets under cubic symmetry generate a cube Wulff shape. By adding an isotropic boundary polytope with a slightly higher energy, the corners end edges of the cube are cut off and replaced by smooth surfaces. 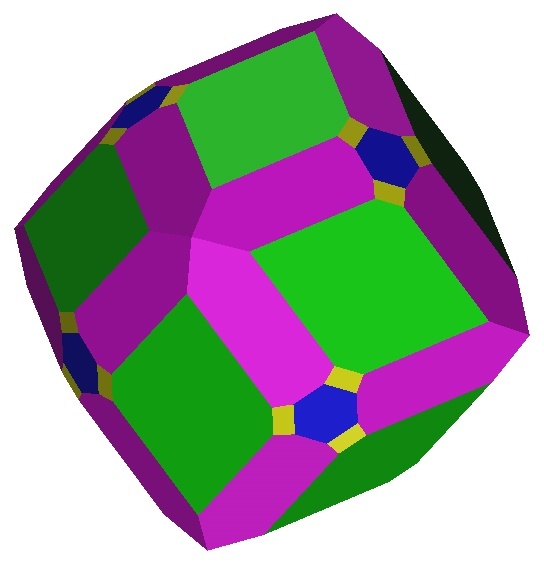 The Wulff shape is effectively the intersection of a sphere and a cube. Eglestonite : Hg4OCl2, an example of form development in class 43_m. Beryl : Be3Al2Si6O18, Beryllium Aluminum Silicate, a semi-precious mineral, represents form development in class 6mm. Rutile : TiO2, Titanium Dioxide, an example of form development in class 4mm.